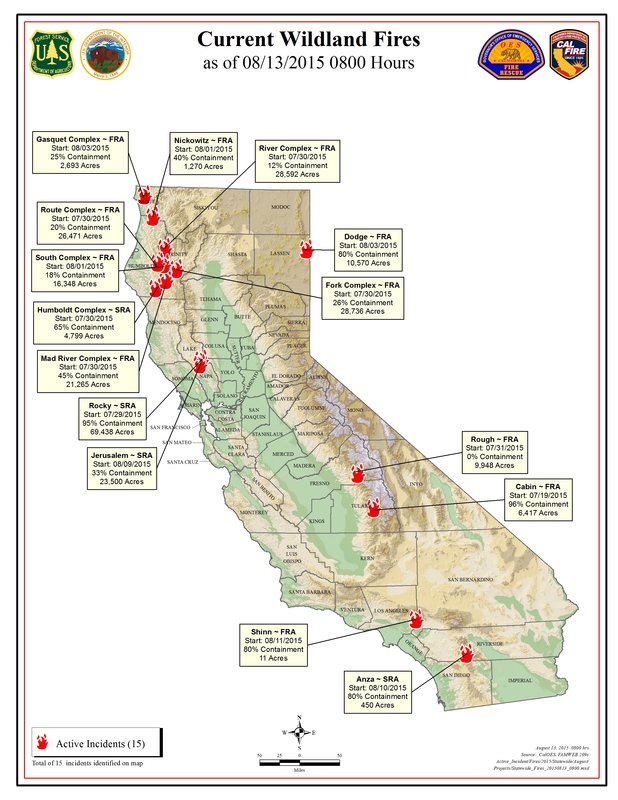 Today’s fire map shows California’s active incidents. The map updates the size of the Rough Fire on the Sierra National Forest north of Hume Lake. That lightning caused fire from July 31st continues to grow and produce smoke and haze in the Eastern Sierra. Bridgeport’s Eagle 2 fire started around noon Wednesday, and as of mid-morning Thursday is listed at 126 acres. The Eagle 2 fire has not been added to the map.